At Explorers, we are inspired by the Reggio Emilia approach, which places high value on the learning environment as the third teacher. 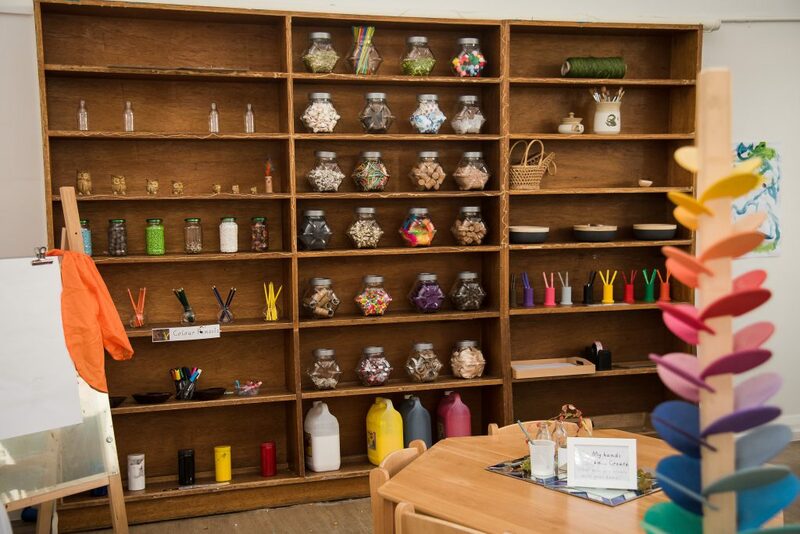 Our Educators are passionate about designing a beautiful classroom and implementing an appropriate learning program; one that engages, challenges and inspires children. We know that the environment plays a central role in making each child’s learning meaningful. “Learning environments engage and foster a sense of ownership and respect when they are aesthetically pleasing, reflect the identity and culture of children and families, and encourage a connection to place. As such, the physical environment is never simply a backdrop to the curriculum; it is an integral part of the curriculum or leisure based program. An environment with rich and built-in learning opportunities also frees educators to interact with children” (ACECQA 2016). The environment conveys many messages to children and families, of which the most immediate is that this is a place where teachers have thought about the quality and the power of space. There needs to be purpose to every aspect of the environment, such as positioning of materials with attention to detail in each experience. Below are 8 approaches we use to encourage children to respect their learning environments. Please note these suggestions are from our own experiences and may not suit every group of children. They can also be adjusted to meet the needs of the classroom, group of children and teacher. We model the behaviour we expect to see, as children pick up even the smallest cues. If you walk around and step over things rather than picking things up/resetting, the children will copy the behaviour. We are role models and it is important to teach children how to take care of things. For example, when we spill something, we clean it up right away and vocalise what we are doing, “Oh, I’ve spilt the milk. I’m going to wipe it down straight away. Milk doesn’t stay on the floor”. 2 – Providing an age appropriate environment and having age appropriate expectations. We ensure that the environment is suitable for the child’s development. Children have access to a variety of experiences to extend their learning and development. Child-specific experiences and activities are at their level to support their autonomy. We also have age appropriate expectations of how children will operate within their environment. For example, a 7-month-old can’t be expected to know that glass will break. 3 – Providing positive reinforcement. Providing positive reinforcement builds on a child’s confidence. As Educators and Teachers, we avoid phrases that begin with the word “don’t” such as “don’t throw that”, and instead try saying “let’s pick it up”, and ask questions such as “where does this go? Can we put it back together?” We aim to create a positive culture where children want to look after their learning environment. 4 – Teaching Children the Specifics. Cleaning and packing up the environment can be an enjoyable experience if we make it! “How wonderful it is to make our environment beautiful and tidy again.” We use positive language when resetting learning environments and include the children in the process. Encourage the children to understand that a big part of making a mess involves cleaning it up after. 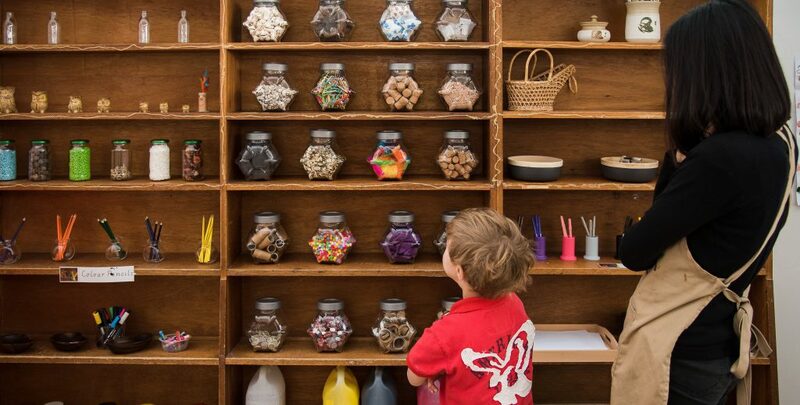 We help the children learn this process by creating a shared responsibility for resetting or tidying up the space. 5 – Having High Expectations. 6 – Encouraging Good Manners. Respecting the environment begins with respecting others. We help children learn basic manners, such as “please” and “thank you” to use when communicating with Educators and their friends. 7 – Provide Visual Examples. 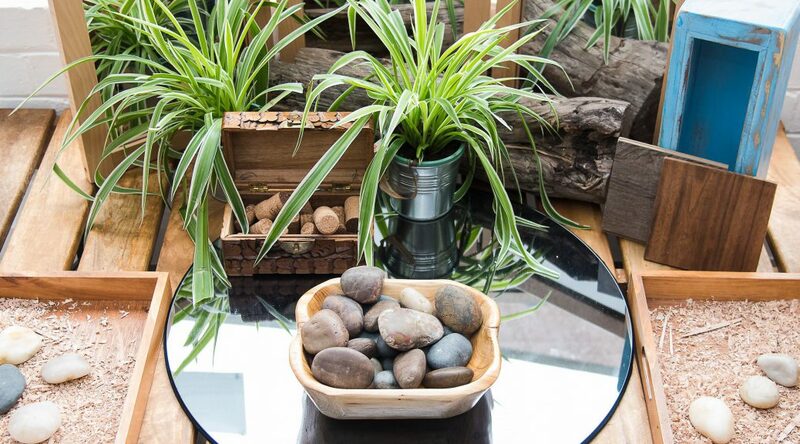 At Explorers, we display visual examples of how each space should look. The children are able to refer to these images to help them reset the learning environment to its original state once they have finished using it. We also display encouraging statements in each learning space to help our Educators prompt the children as to how they could use the space. A sustainable tomorrow begins with the actions of children today. Explorers Educators and Teachers are aware of their responsibility to help children learn the significance of caring for and protecting the environment. We provide children with opportunities to become environmentally responsible. For example, we believe in teaching and acting on the phrase ‘Reduce, Reuse and Recycle’ within our centres. We help our children recycle, only use what they need, reuse materials, turn the lights off and so on. For more information on Reduce, Reuse and Recycle read: http://www.wwf.org.au/get-involved/change-the-way-you-live/reduce-reuse-recycle. How does the physical space of the centre encourage children’s agency? How is learning built into the environment? What learning opportunities are created by changing the space, for example by adding or taking away resources or equipment? How do the different spaces within the environment foster a sense of belonging and community? At Explorers we consistently remind ourselves of the positive influence we want to provide on a child’s life and their learning and development. It is important that we embed a respect and love for the environment in children from an early age. Just like respecting each other, we need to teach children to respect the environment so that we can instil kindness, consideration and gratitude. These blog was written from the kind contributions of Armadale Explorers Centre Director Jackie.